“Waiting On Wednesday” is a weekly meme that first originated at Breaking the Spine but has since linked up with “Can’t Wait Wednesday” at Wishful Endings now that the original creator is unable to host it anymore. Either way, this fun feature is a chance to showcase the upcoming releases that we can’t wait to get our hands on! 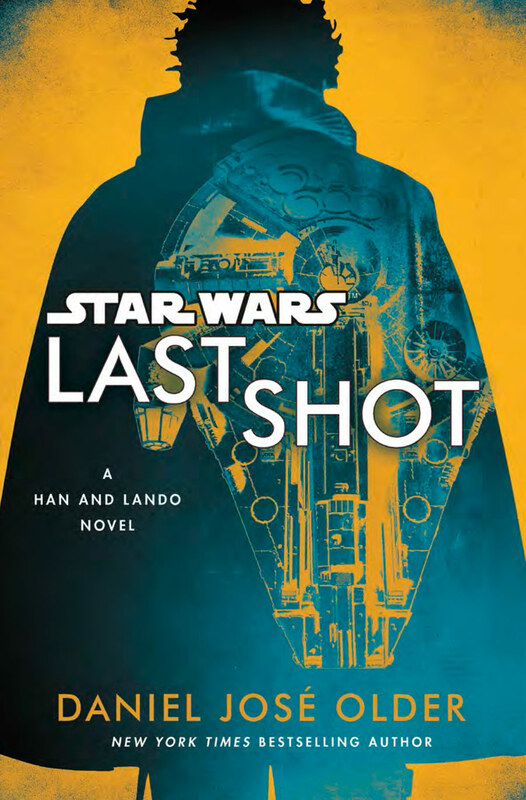 “Even the fastest ship in the galaxy can’t outrun the past. . . .
It’s one of the galaxy’s most dangerous secrets: a mysterious transmitter with unknown power and a reward for its discovery that most could only dream of claiming. But those who fly the Millennium Falconthroughout its infamous history aren’t your average scoundrels. Not once, but twice, the crew of the Falcon tries to claim the elusive prize—first, Lando Calrissian and the droid L3-37 at the dawn of an ambitious career, and later, a young and hungry Han Solo with the help of his copilot, Chewbacca. But the device’s creator, the volatile criminal Fyzen Gor, isn’t interested in sharing. And Gor knows how to hold a grudge. . . .
It’s been ten years since the rebel hero Han Solo last encountered Fyzen Gor. After mounting a successful rebellion against the Empire and starting a family with an Alderaanian princess, Han hasn’t given much thought to the mad inventor. But when Lando turns up at Han’s doorstep in the middle of the night, it’s Fyzen’s assassins that he’s running from. And without Han’s help, Lando—and all life on Cloud City—will be annihilated. Oh wow- Han and Lando? Sign me up for this one! And Cloud City as a setting too? Woot! Yes! I’m excited to read about Cloud City in a Star Wars book again! There are way too many Star Wars related books out there! I struggle to find space for what I have so I’m glad I made a pact to just stick to the films! Hope you enjoy it! Nice pick! I hope you will enjoy this one once you get a chance to read it! Oh these covers are great! Niiiiiiiiice! DJO briefly mentioned a Star Wars novel during his event at the Boston Book Festival last fall. I haven’t read any of the Star Wars novels yet… but I’d read one by him! Now this is one Star Wars book I’m excited about. Plus I need my own copy because those covers are to die for! 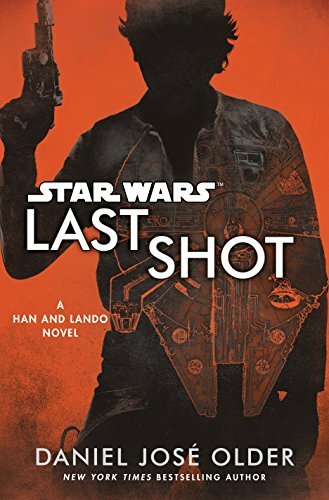 Yes, if there’s one Star Wars book to be excited about, it’s this one! Woohoo! I know how much you like Star Wars stuff so I hope you love these too! Yep, the novel releases often tie into the movie release schedule! I felt robbed too, and in a way that’s why the idea of the new Solo movie irked me. It’s like they killed off the old Han and then they go ahead and effectively replace him in this shiny new movie.